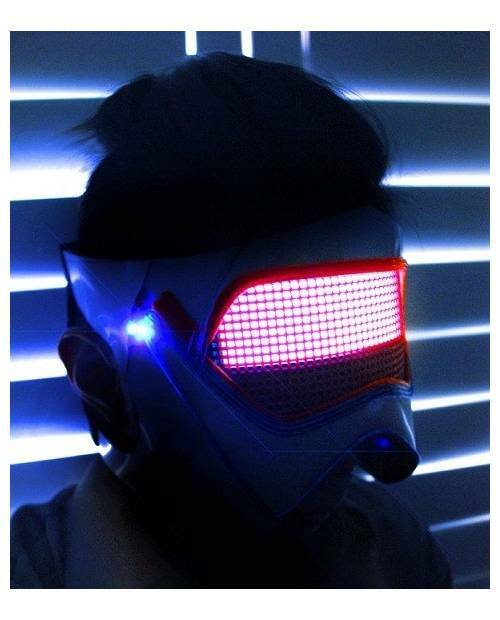 With its provocative name, this mask Daft Punk also approximates the design Robocop. 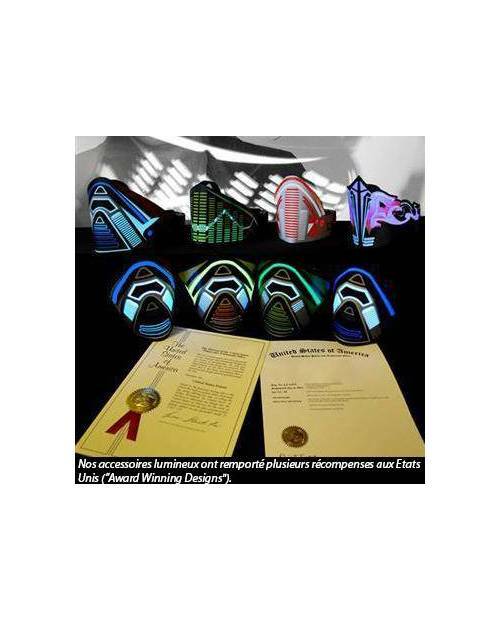 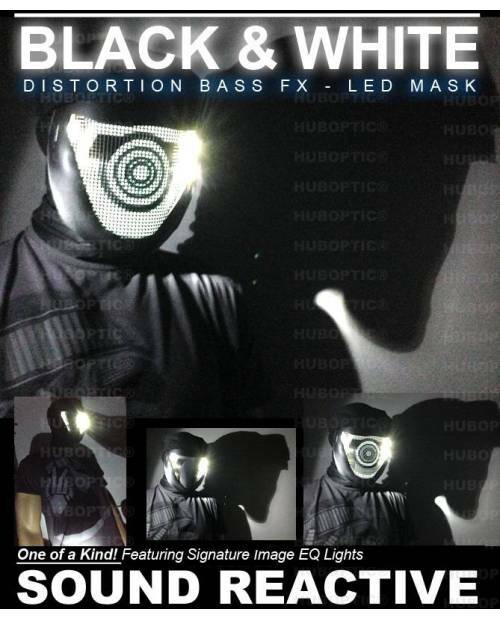 A light mask aesthetic and comfortable to wear. 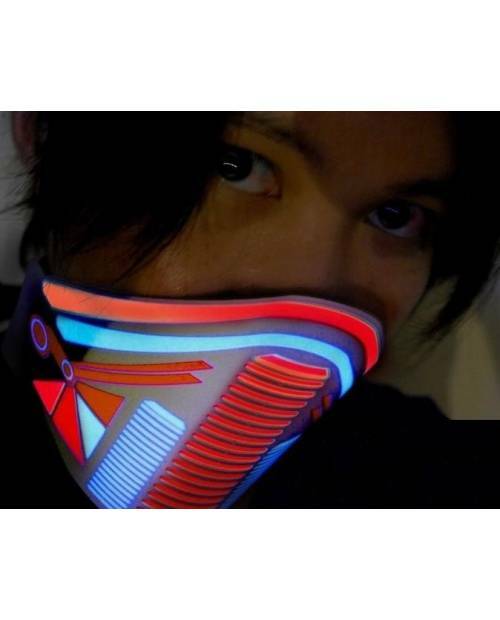 Inspired by Daft Punk, this light mask today feeling to each of its outputs. 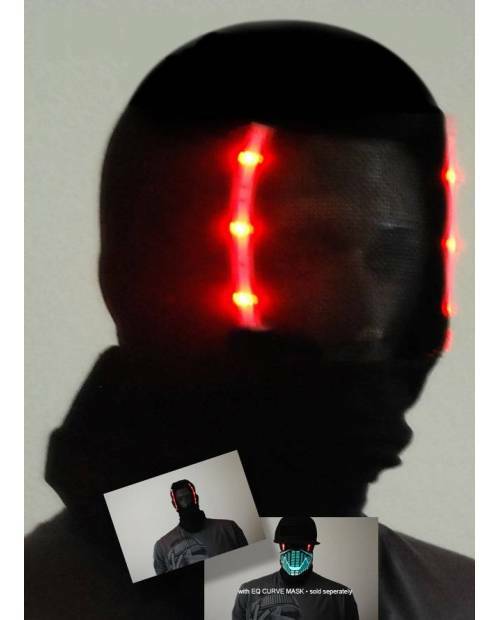 Indeed, the mask follows Helmet LED fashion products as well as electro music or light t-shirts. 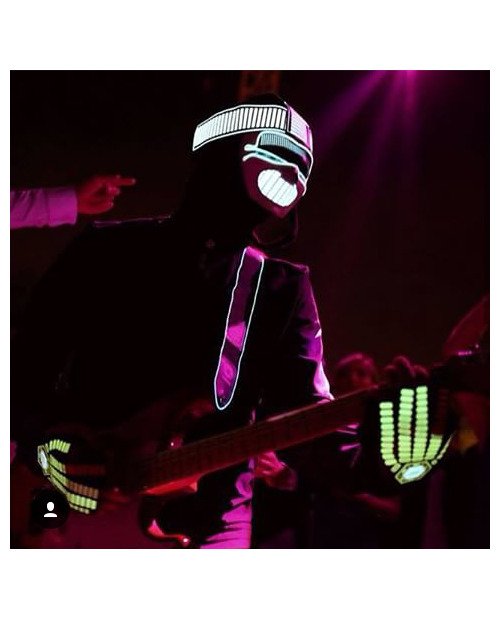 LED technology gives the mask a futuristic Daft Punk appreciated. 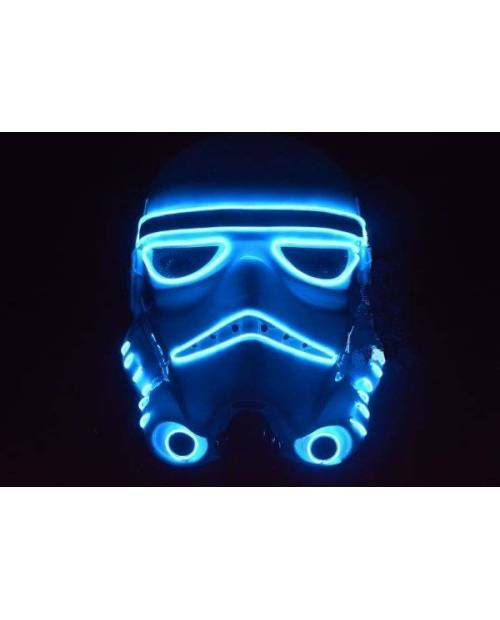 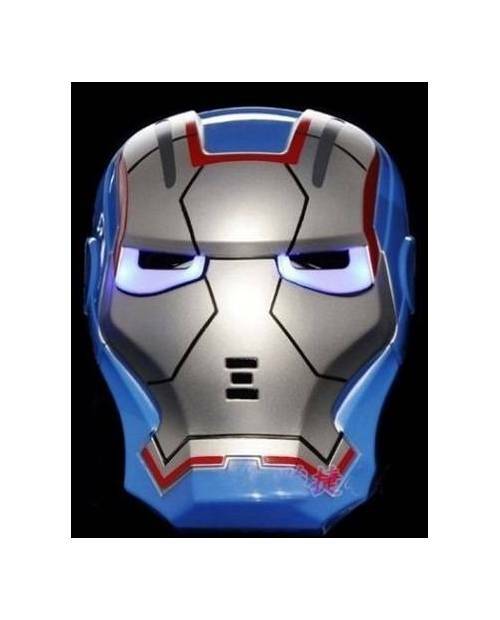 This mask is a must for Daft Punk to play in the clubs! 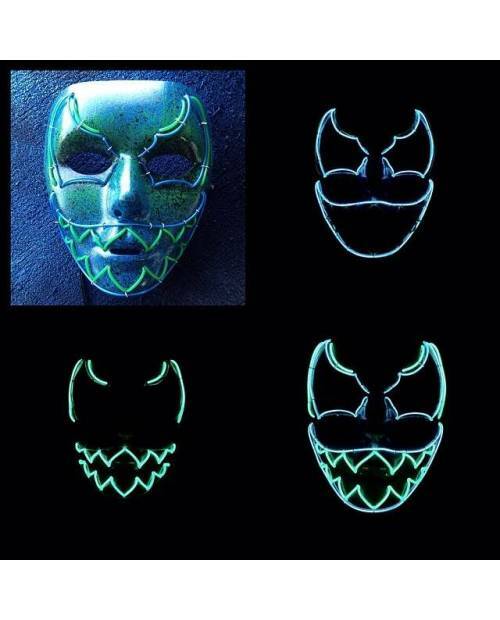 This mask Daft Punk has a structure adjusted to be worn near the face. 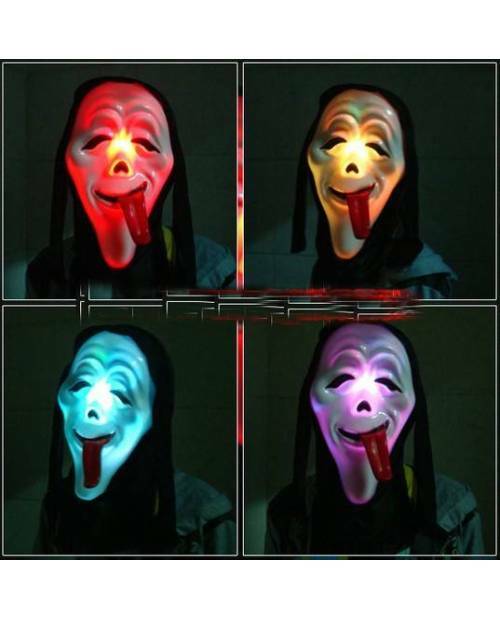 It will not prevent you moving when mixing or dance. 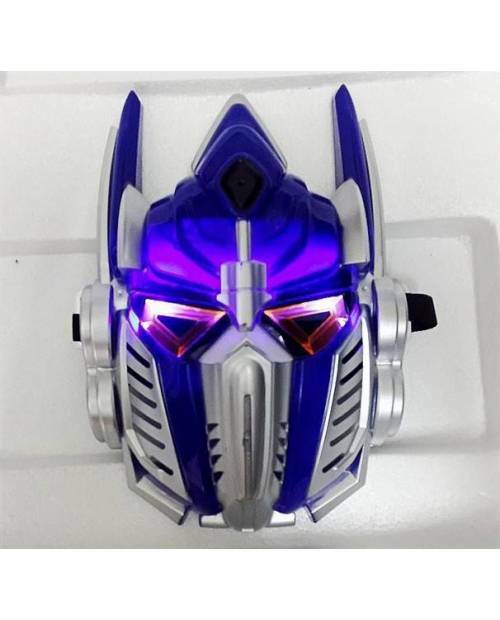 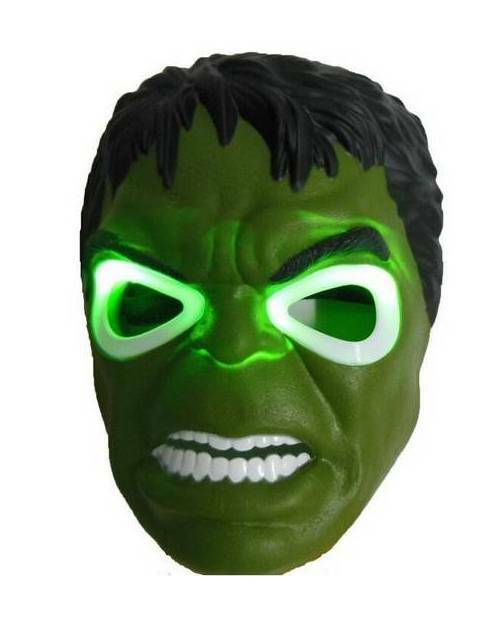 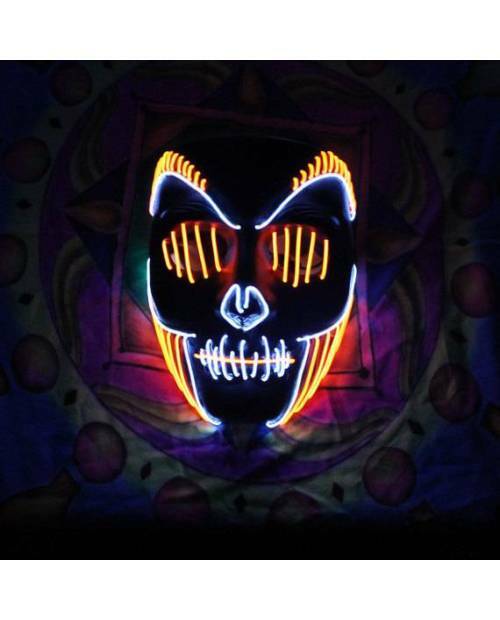 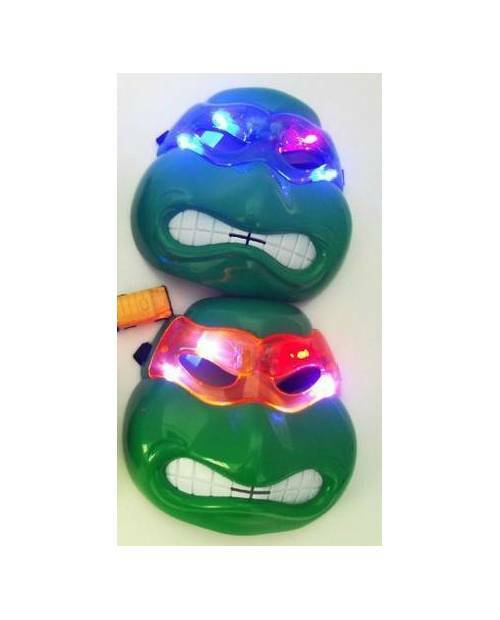 This mask works led equalizer with conventional AAA batteries. 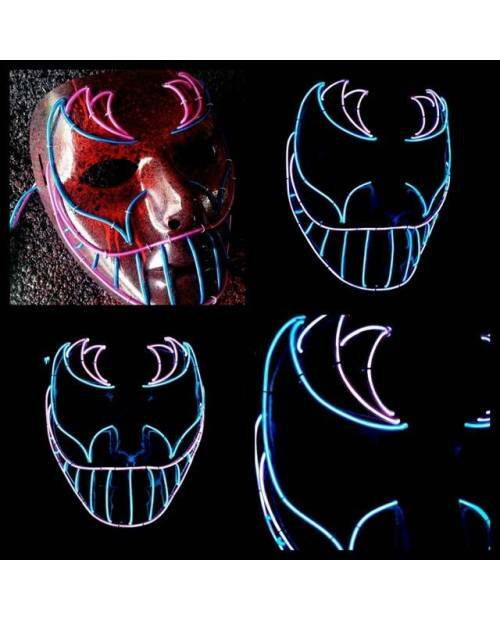 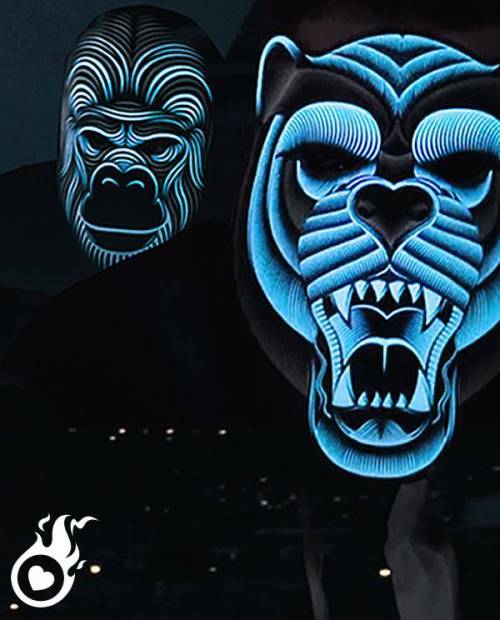 This mask is not only bright, but it comes alive to the beat of the music! 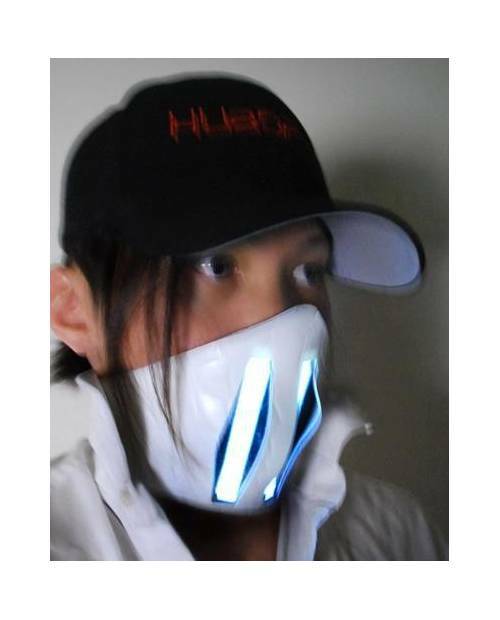 An adjusting knob also avoids saturation logos equalizer against too great a volume. 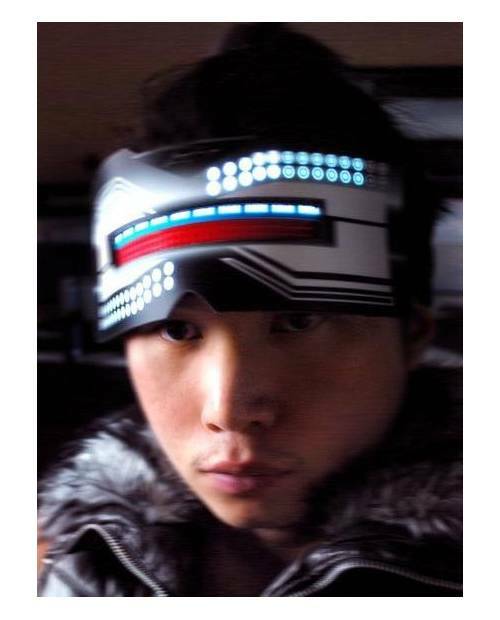 An action request your headband will be sent by mail after ordering, to achieve a personalized custom helmet.